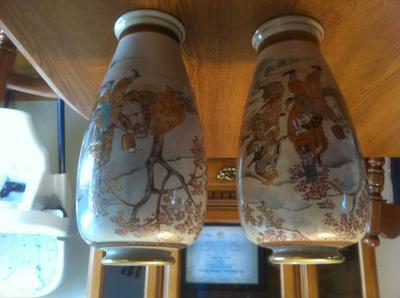 Can anyone assist me in identifying these Japanese vases from the Meiji period? That is as much as I know except they were purchased in Japan prior to 1950. I am looking to sell them and need to know who the artist is from the mark on the bottom. 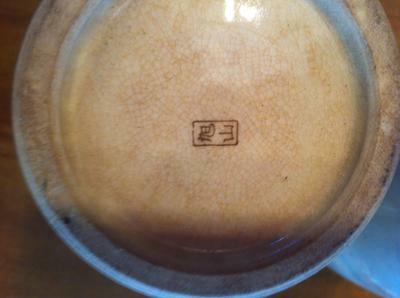 I think the mark is Hizen Arita , I think, I can't tell you much more with the pictures you sent, more detailed pictures of the vase and top and how much do you want for your vases, I think they could be from the 1900 to 1920.